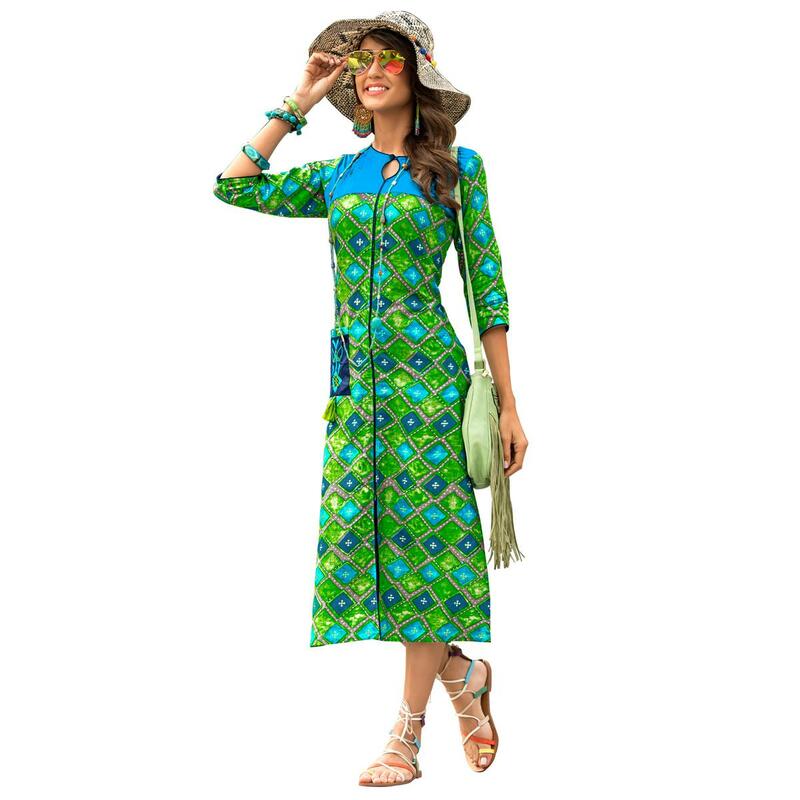 Feel delightful in this green colored casual wear printed rayon kurti. 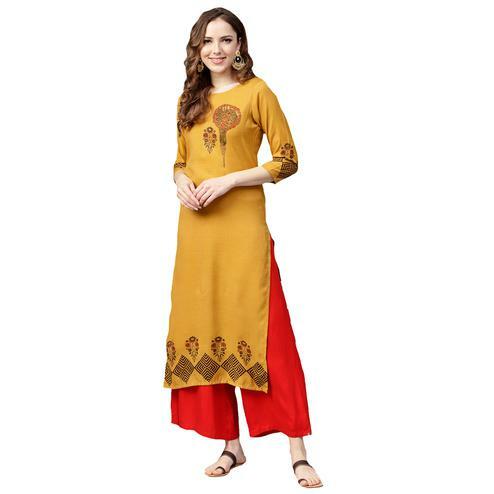 The kurti is stitched in rayon fabric and comes in different sizes. 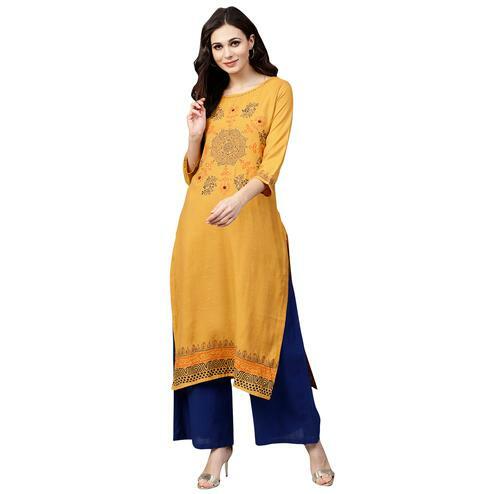 The kurti has beautiful color contrast with blue color which makes it look so colorful. 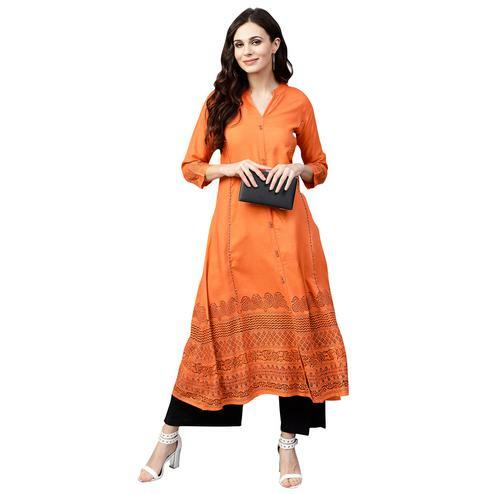 The kurti has a 3/4th sleeves and a contrasting color pocket which adds a unique touch to the outfit. 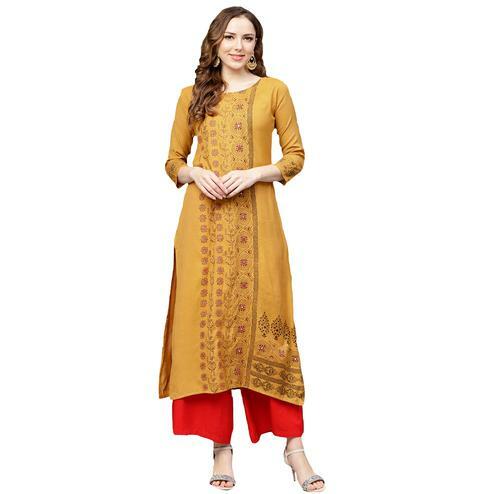 You can wear this with jeans, leggings or as a one piece dress.The skirt is perfect to wear on casual days, at office,social meetings, kitty parties,homely events. 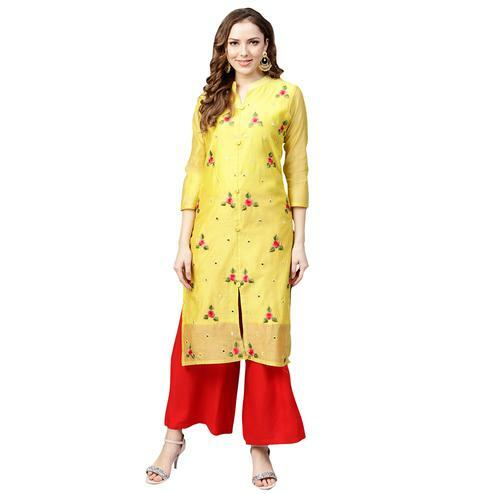 Pair this with funky accessory and you are ready to head out.